100% cotton Soft t-shirt in black with white logo. 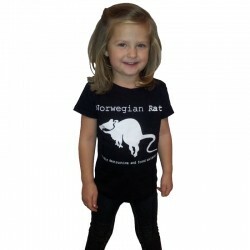 It's not easy determining the right sizes for kids, as these lovable rugrats come in all shapes and forms, and they grow fast! So if you're uncertain about which size to pick, a rule of thumb is to always go at least one size up. After all it's better to have something to grow into! 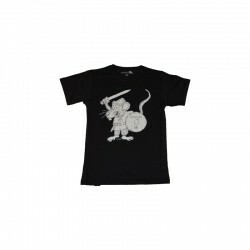 100% cotton Black t-shirt with print on chest. Info text about the "Einherjar" on the inside.